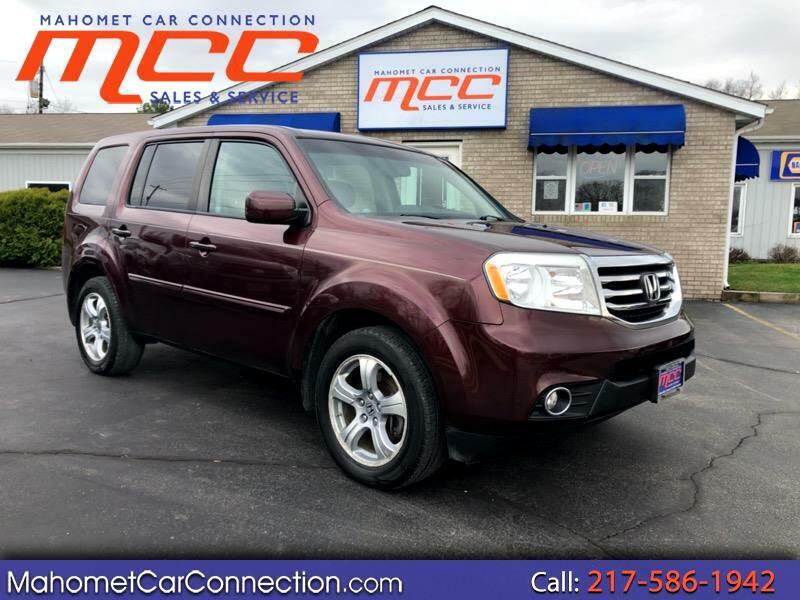 If you are looking for a roomy, safe and reliable third row SUV, then this 2012 Honda Pilot EX-L is the vehicle for you!!! One of the top rated SUVs in its class!!! Equipped with the bullet proof 3.5L V6 engine and Hondas famous AWD system. EX-L model includes heated leather seats, power drivers seat and passenger seat, satellite radio, AUX/USB connection, tow hitch, sunroof, and 18 inch alloy wheels. Safety features include traction control, stability control, side curtain airbags, anti-lock brakes, and a back up camera. Come experience the MCC difference! !